These days, it is hard to keep track. [(wo3) (de.)] (hai2 zi.) (chang2 chang2) [(lai2 qu4) (bu2 ding4) (de.)] (hui2) (jia1) (lai2). [(I,me) (suffix making it possessive “my”)] (children) (often) [(to come to go) (not definite) (particle indicating this is adverbial phrase for subsequent verb)] (return) (home) (come). My children often come and go from my house. Still, it is helpful to know who will be there at what time. (I) (should) (to buy) (more or less) (food). how much food I should buy. (usually) [(he) (suffix for mixed gender group=”they”)] (will) (at) (my) (house) (to seek) (things) (to eat). Usually, they look for things to eat at my house. and I don’t like for them to be disappointed. (usually, ordinarily) (they) (tell) (me), “(I) (to walk, to leave) (ending sound indicating a tentativeness of making sure the other person is okay or ready for the action to occur). But not always when they are coming. [(ni3) (men.)] (shen2 me. shi2 hou4) (li2 kai1)? [(you) (suffix making it plural)] (when) (to leave)? That way I can make it easier for them. (I) (also) (not will) (forget to remember) (give) (them) (egg) (or) [(at) (my) (home) (garden) (in) (to cultivate) (suffix making this a descriptive phrase)] (vegetables). Also, I will not forget to give them eggs or vegetables from my garden. (ta1 men.) [(zou3) (le)] (ma.)? (they) [(to walk, to leave) (emphasizing completed action)] (ending indicating this is a question)? (ta1 men.) (shen2 me. shi2 hou4) (li2 kai1) (de) (ne)? (they) (when) (to leave) (ending making the verb describe the subject) (implies a desire to catch up with them). Possibly they are still in the driveway. “(ta1 men.) (yi3 jing1) [(zou3) (le.)] (hen3) (jiu3)”, (wo3) (hui4) (deng3 dao4) (xia4 ci4) (ta1 men.) (hui2) (wo3 de.) (jia1). “(they) (already) [(to leave) (emphasizes completed action)] (very) (long)”, (I) (will) (wait until)(next) (time) (they) (return) (my) (house). “They already left a long time ago,” I will wait until next time they come to my house. (wo3) (hen3) (hui4) (ji4 de.) (shi4 qing2). (I) (very) (capable) (remember) (matters). I am good at remembering things. So they go home with lots of goodies most days. (bu2 guo4) (zhu3 yao4 shi4) ((wo3) (yao4) (ta1 men.) (li2 kai1) (shi2) (you3) (zhe.) (hen3 duo1) (mei3 hao3 de.) (ji4 yi4). However, mostly I want them to leave with many beautiful memories. ❷ This sound, 嘍 (lou. ), is only used in speech, not formal writing. It indicates that the speaker is letting the person know what is about to happen and sort of asking if it is okay or if anything needs to be considered or remembered. ❸ Both走 (zou3) and 離開 (li2 kai1) mean “to leave” or “to depart.” 走 (zou3) more specifically means to walk, which implies “to go” or “to leave.” 離開 (li2 kai1) is made up from 離 (li2), which has a variety of meanings most of which have to do with getting or being away from something, and 開 (kai1), which I am most familiar with meaning “to open” or “to drive,” but in this case seems to mean “to begin (the journey).” Much like in English, the Chinese frequently avoid using the literal words saying that someone has died, so they say “departed” or 走了(zou3 le.). Obviously, it is the context that makes this understandable. 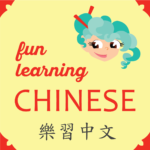 ❹ Part of the trick to reading Chinese sentences is learning to discern where a long descriptive phrase begins. Like in this sentence, there can be several characters listed in a row, but followed by only one 的(de.) to indicate that the whole list is describing what comes after it. ❺ Here the 的 (de.) sort of turns the verb into an adjective, like saying they are “already having left” people. ❻ 呢 (ne.) can be either a weak question sound or a sound indicating interest of following through based on the information obtained. It can also be used as a bit of a “filler” word, meaning the speaker is thinking about what to do or say next.